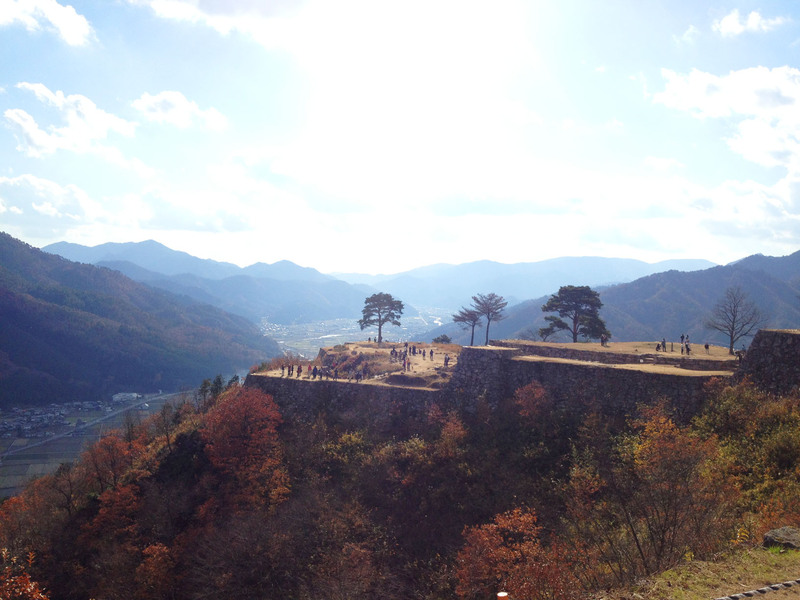 On November 30 we arrived in Himeji City, home of the fine Himeji Castle. 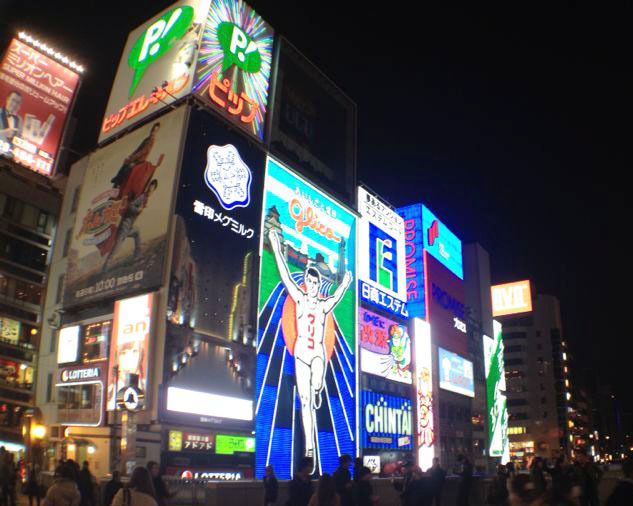 We love Himeji City! 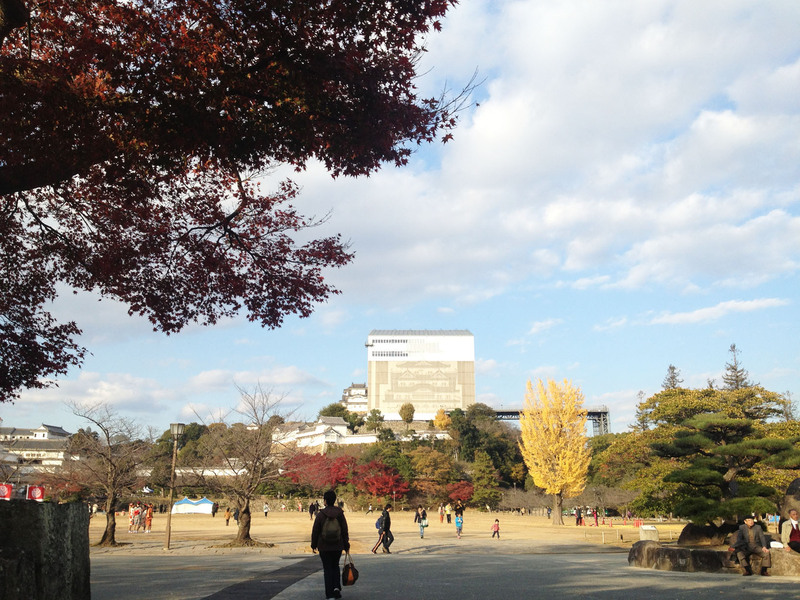 There is plenty of wide, open space in Himeji and the city isn’t too crowded. 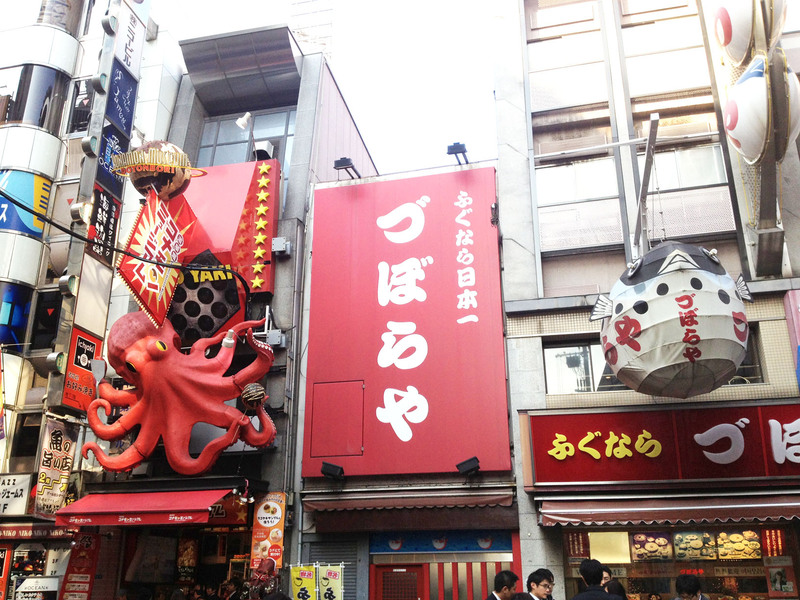 The area where our hotel Dormy Inn Himeji is, right opposite JR Himeji, has countless izakayas that open till early morning. 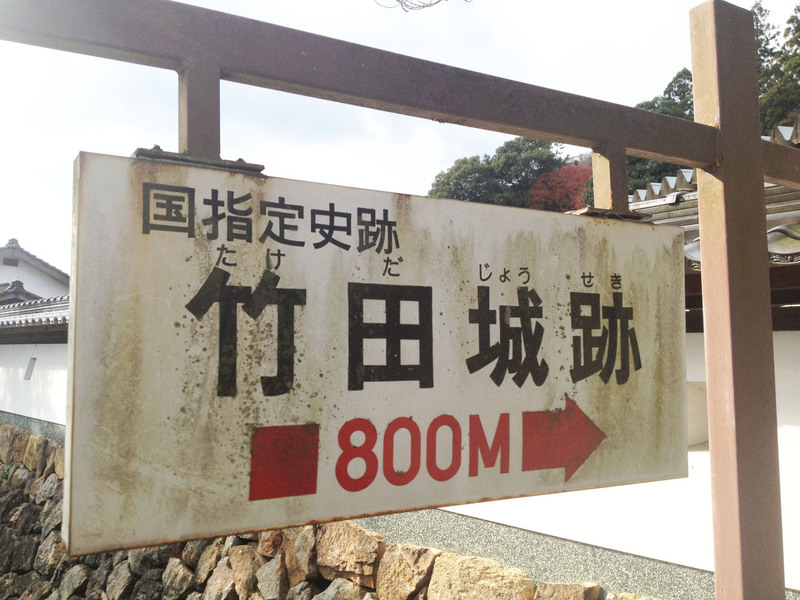 From our hotel, Himeji Castle is just 20 minutes away on foot. 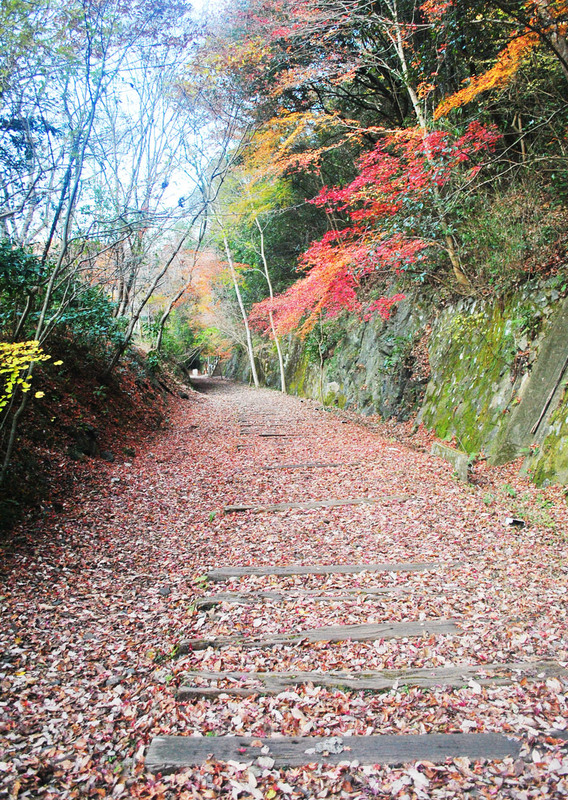 It was a pleasurable stroll down streets lined with golden ginko trees. 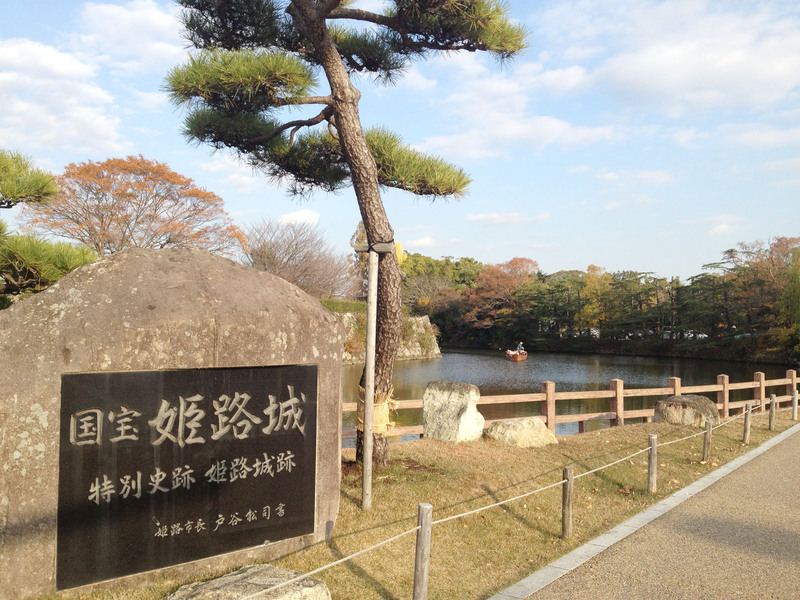 Although the main castle keep is under refurbishment now, the rest of the castle grounds and the surrounding park remain open to the public. 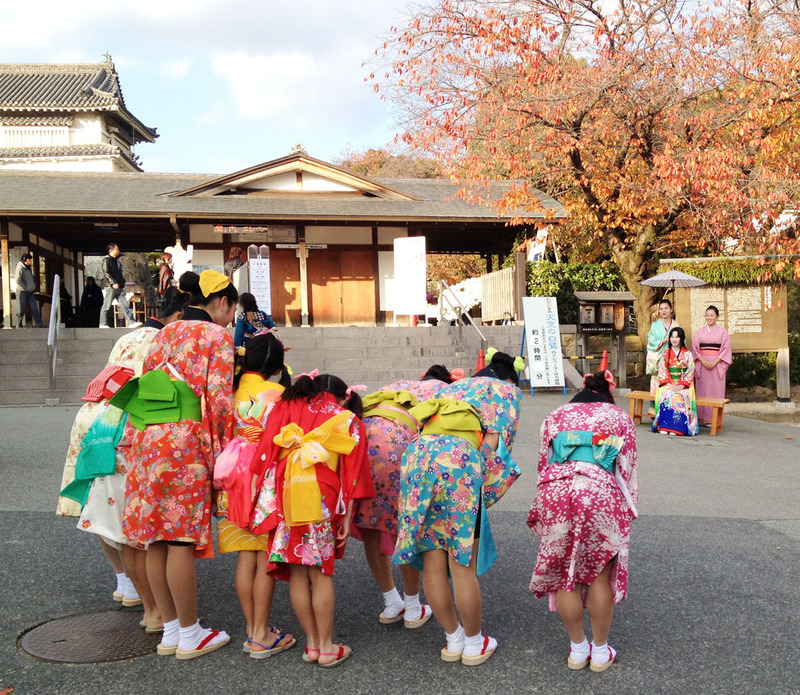 It was a Saturday when we visited Himeji Castle, so there were many families and youths – many of these youths were dressed in colourful yutakas. There were also performers dressed in exquisite costumes, mimicking the royalty who once lived in Himeji Castle. Now here’s a compulsory touristy shot! 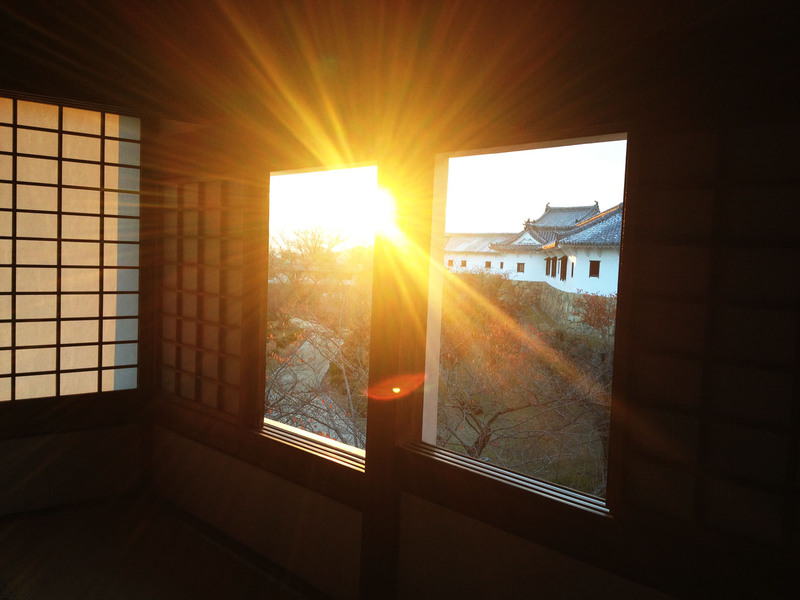 It is worth exploring the castle’s interior, where one would learn about Senhime, or Princess Sen, the eldest daughter of shogun Tokugawa Hidetada. She led a bittersweet life during those warring times, and her life gave birth to many legends. Visitors are shown where she lived in the sprawling castle, where she prayed for her family and where she dressed herself. In the room where she supposedly loved playing cards with her closest attendee, I caught this spectacular sunset. 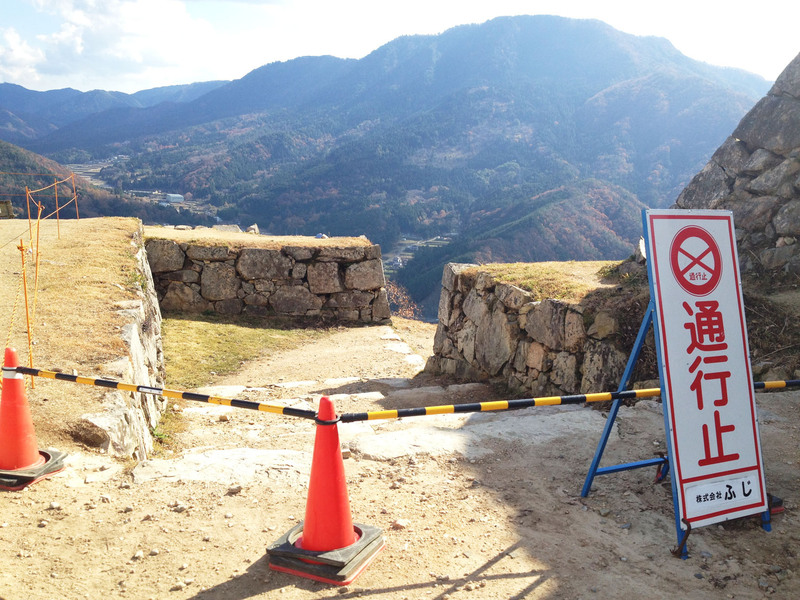 The castle’s interior was about to close by the time we exited Kesho Yagura, the tower where the princess is said to dress herself, so we made our way out. Along the way, in a quiet courtyard, we saw a bald tree with tiny, white buds on its spindly branches. Curious, we went closer and were surprised by what we saw. 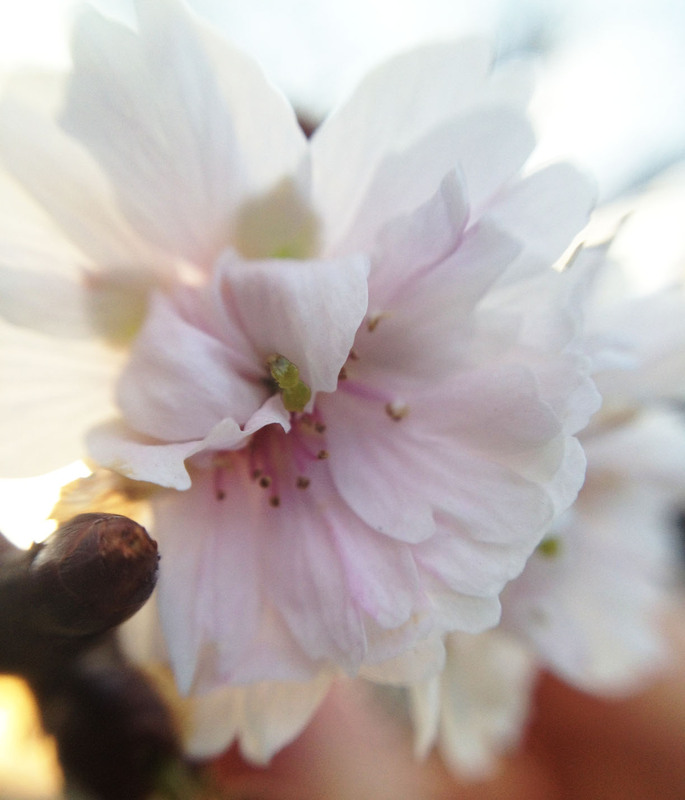 What luck to find cherry blossoms in autumn! This unexpected sighting inspired the husband and I to plan a trip to Japan again next March/April when we can truly appreciate the beauty of cherry blossom season. 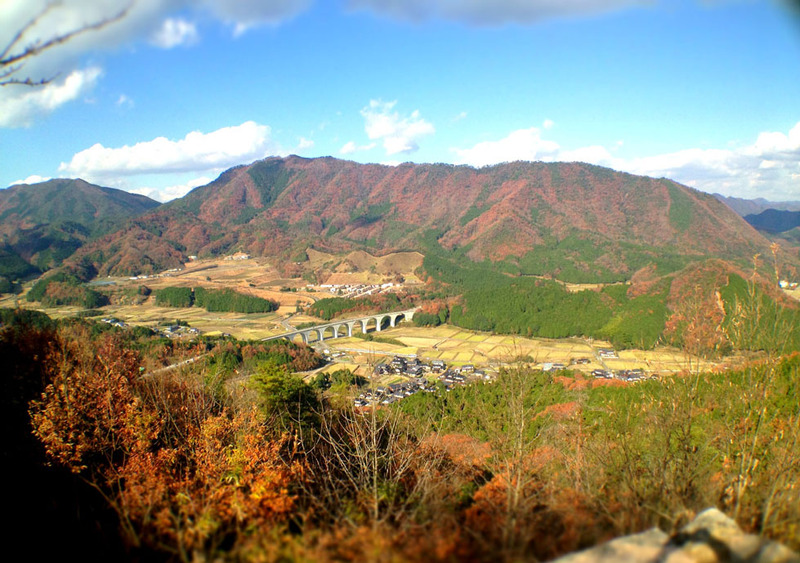 The husband and I love escaping the big city, and a trip to the rural town of Kurama to the north of Kyoto City seemed like a mighty good plan, especially since all the tourist hotspots in the city were packed. 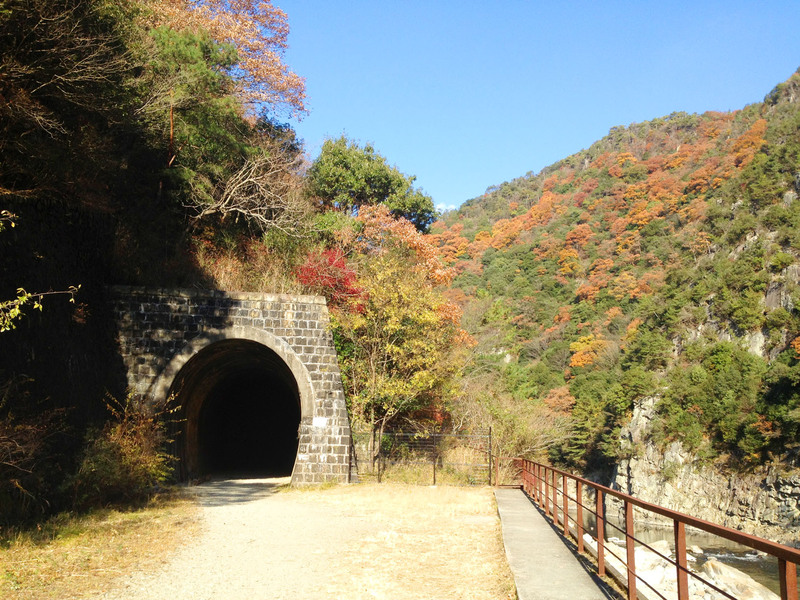 Kurama can be accessed by train from Kyoto Station, but a few line transfers are needed. 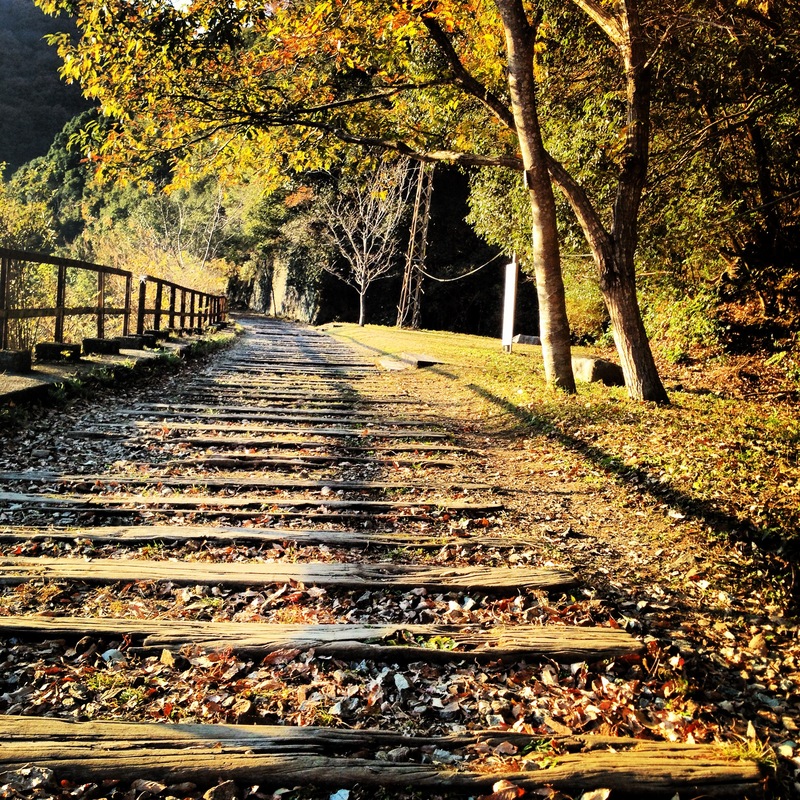 From Kyoto Station, take the JR Nara line to Tofukuji Station (about two minutes), then transfer to the Keihan Main Line to get to Demachi-Yanagi Station (about 10 minutes). 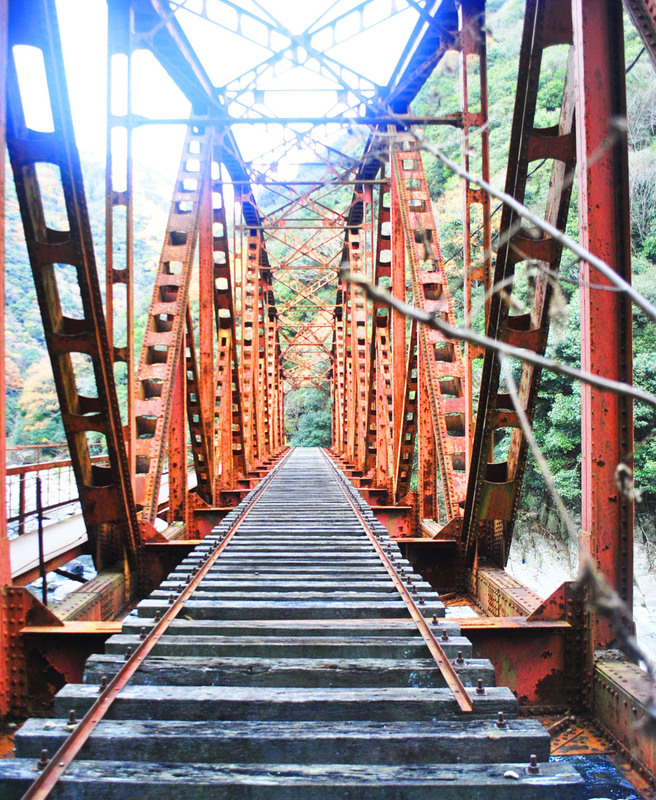 Go to the platform for the Eizan Railway from here, and take the train bound for Kurama Station (about 30 minutes). Now, this service comes once every 30 minutes and uses a short train, so be prepared for large crowds and to stand in a very tight space throughout the journey. 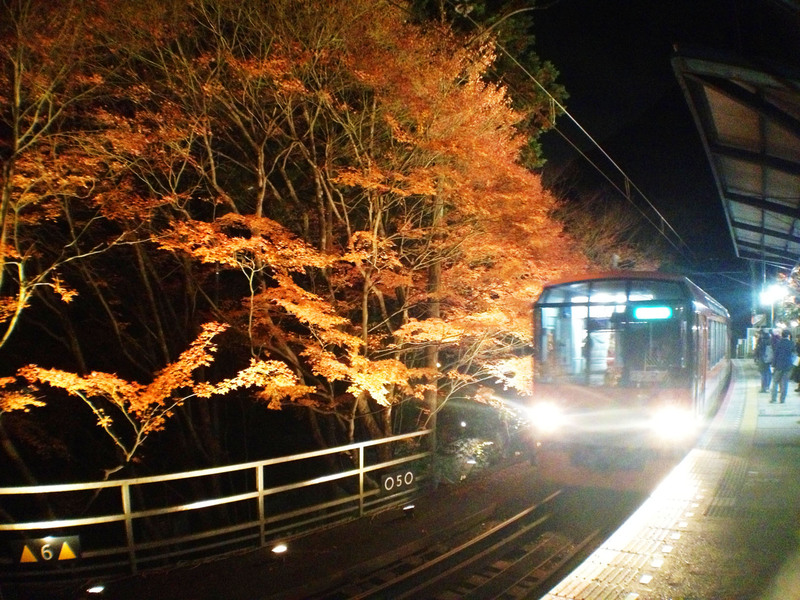 The train ride is popular after sunset, as the tracks cut through a maple tree groove that gets lit up come evening, creating a wonderful vision for passengers. 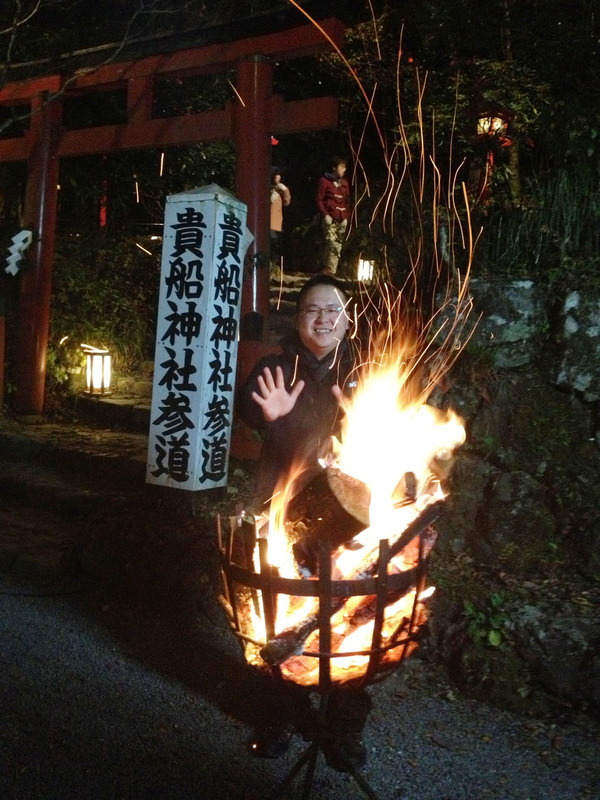 It was mighty cold – by my standards – in Kurama when we were there on November 29. Despite having two layers of thermal pants on, my knees were chilled to the bone. 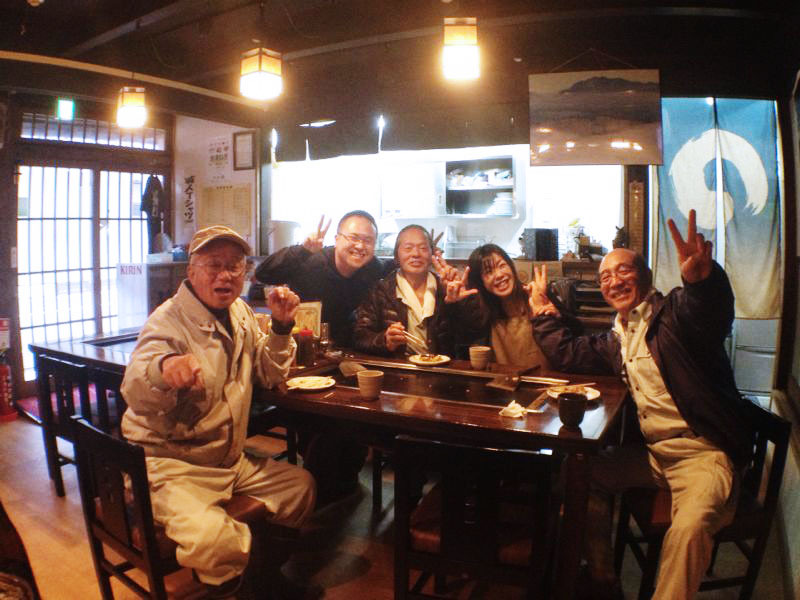 So before we started our hike up Mount Kurama, we slipped into one of the few noodle huts close to the train stations for a hot meal. 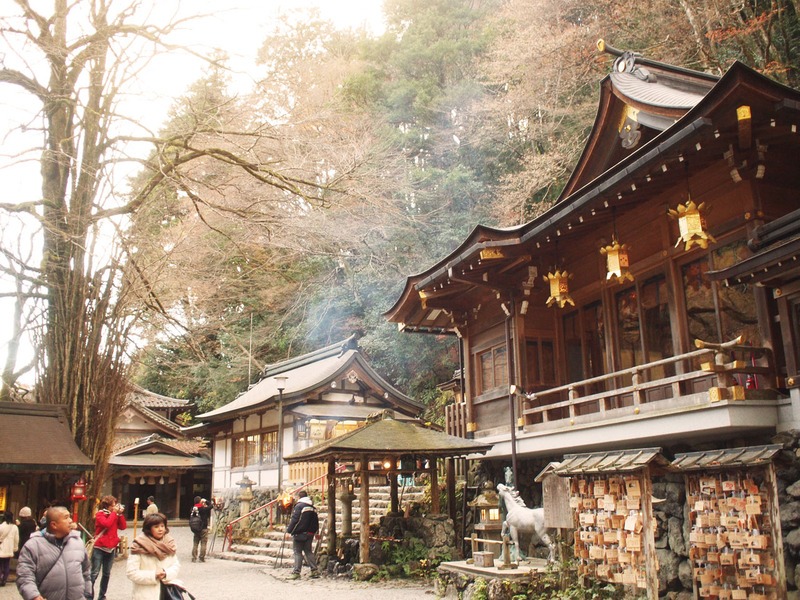 We realised that meat wasn’t featured on the menu at many eateries at Kurama – perhaps because Kuramadera, a revered temple on the mountain, and Yuki-jinja, a smaller Shinto shrine, are frequented by pilgrims. 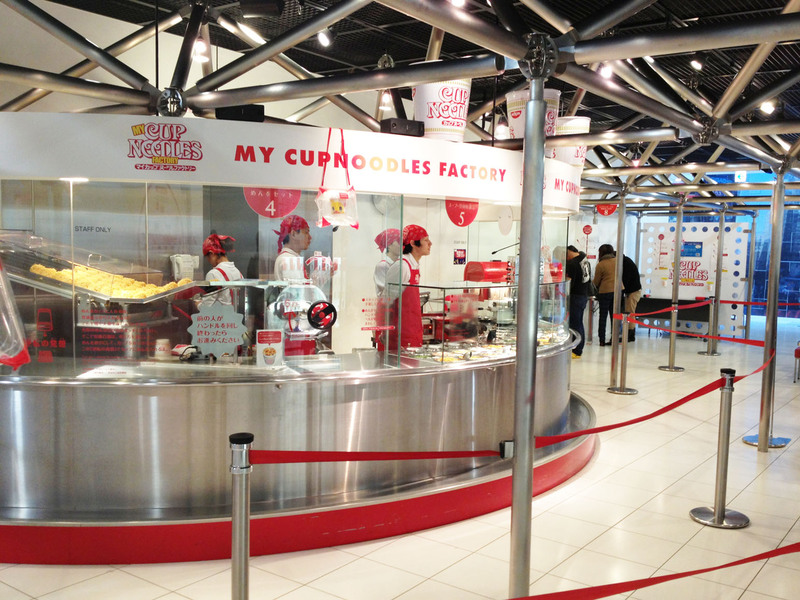 The closest option I got for meat was ebi tempura, served in a heated metal pot with udon and soup. 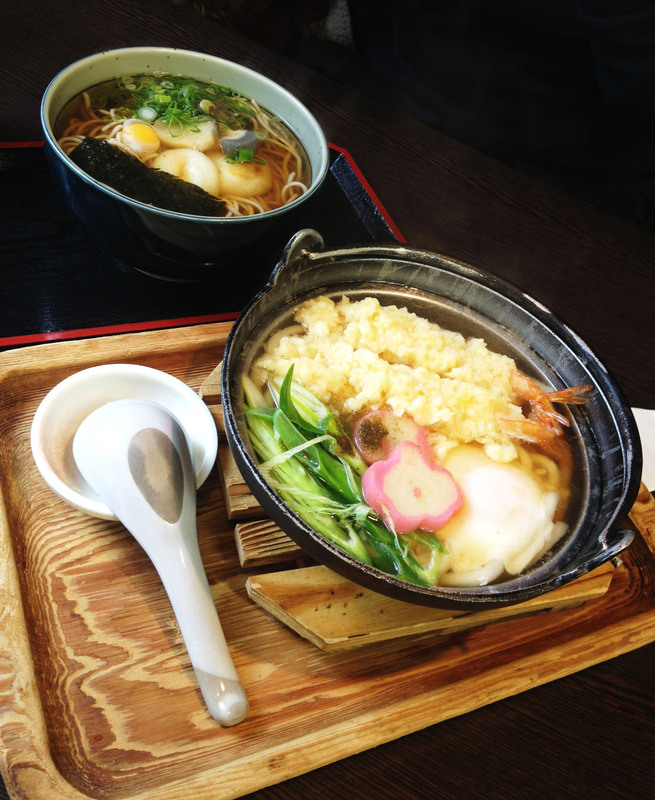 It was wonderful.The husband ordered the restaurant’s most popular dish, a soupy soba with sticky rice balls. 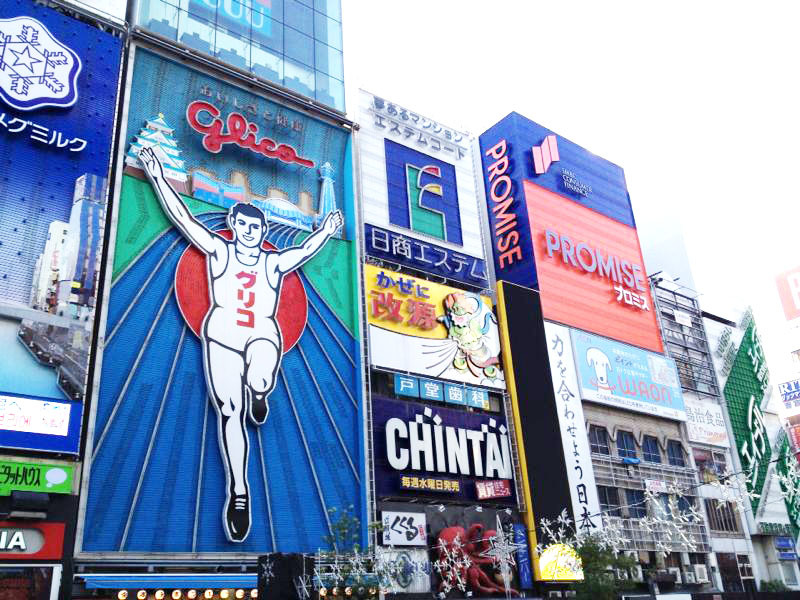 With our tummies filled, we started off for Kuramadera. 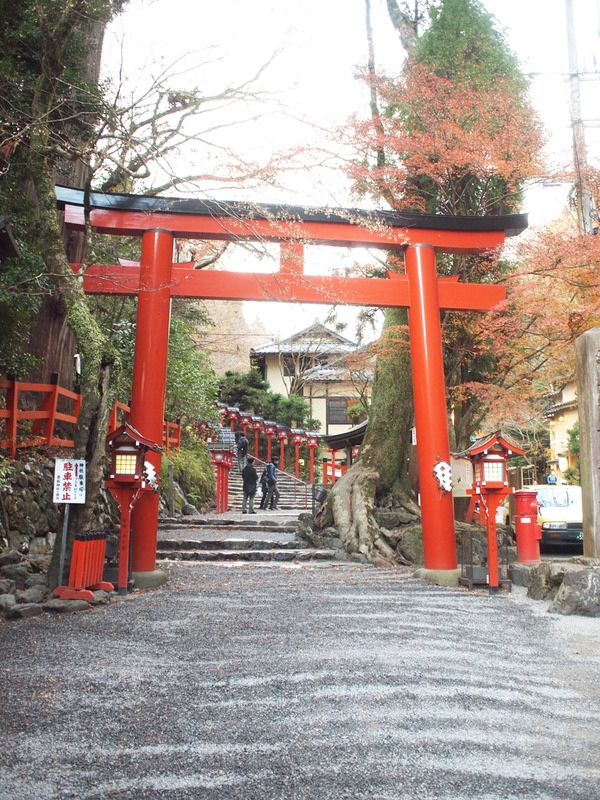 Its entrance sits at the foot of Mount Kurama, but the main temple complex is higher up, accessible by the temple’s own cable car service. 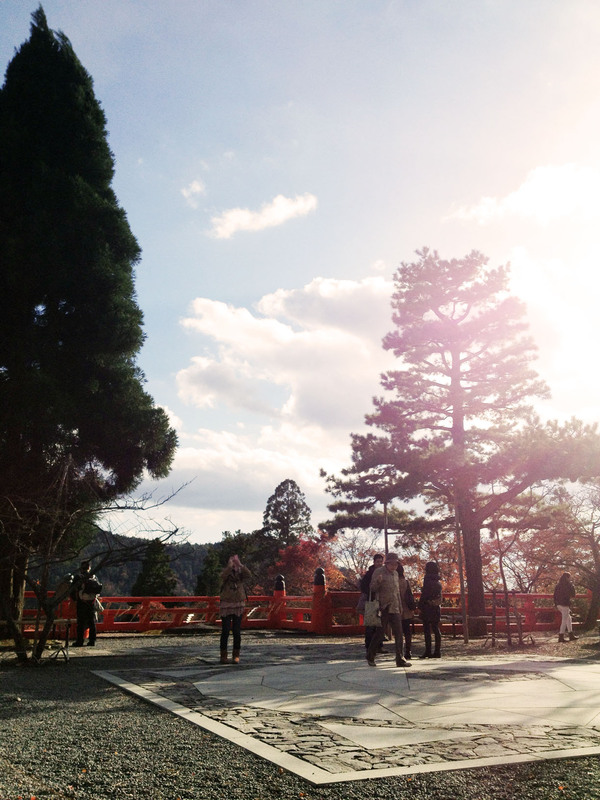 Alighting from the cable car, one still needs to walk some 10-15 minutes to get the the main temple complex. 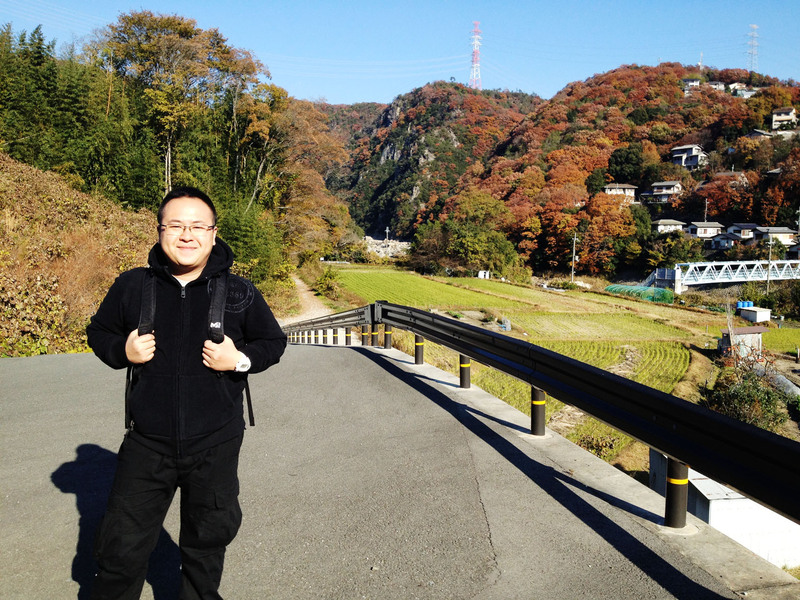 Despite the cold, my body warmed up with the exercise and I eventually peeled off my outer layers. 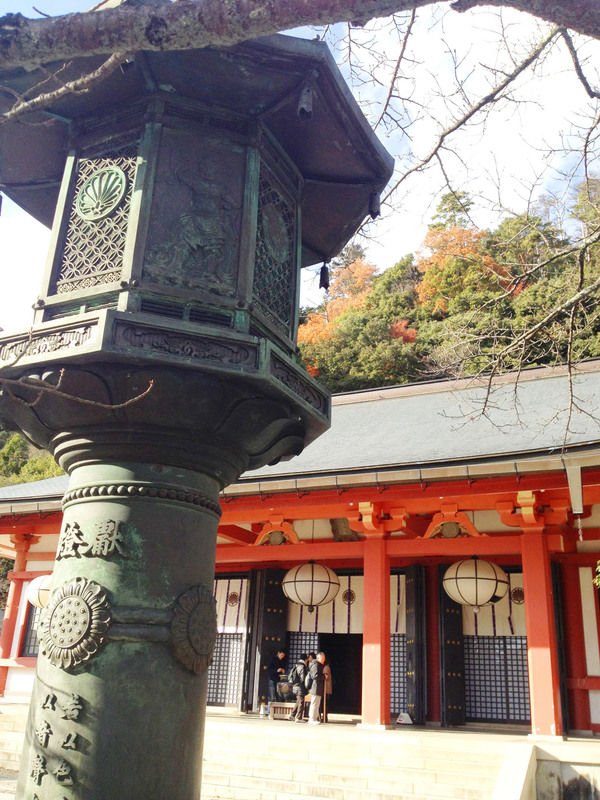 Stone steps lined with vermillion floor lamps loomed into sight when we got closer to main temple complex. Pressing forth in spite of our burning thighs (perhaps more me than him! 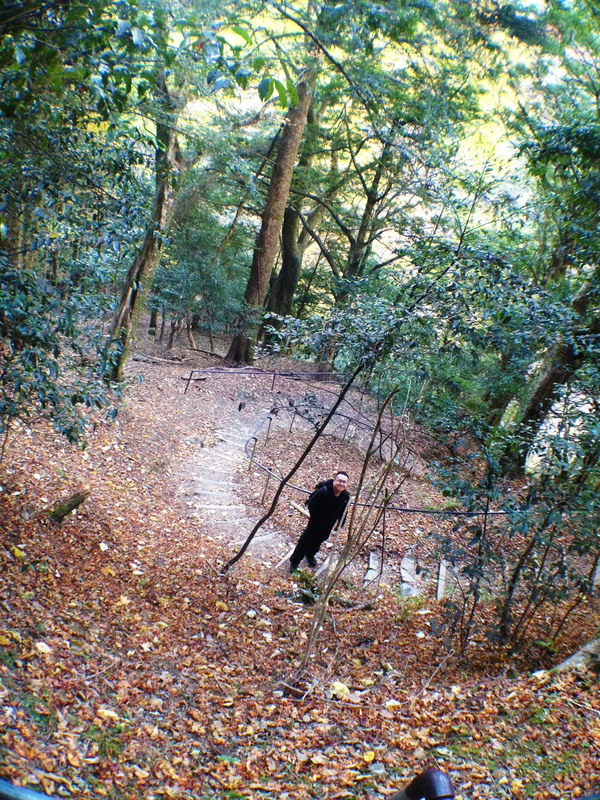 ), we were eventually rewarded with a lovely view from the top of the stairs. The main temple complex is huge, with plenty of open spaces and benches for visitors to sit and enjoy the surrounding greenery and contemplate how tiny we are in this enormous universe. There is a solemn prayer hall in the centre where the pious went to pray quietly to a large, imposing statue of the resident god. Standing in this prayer hall calmed my mind. 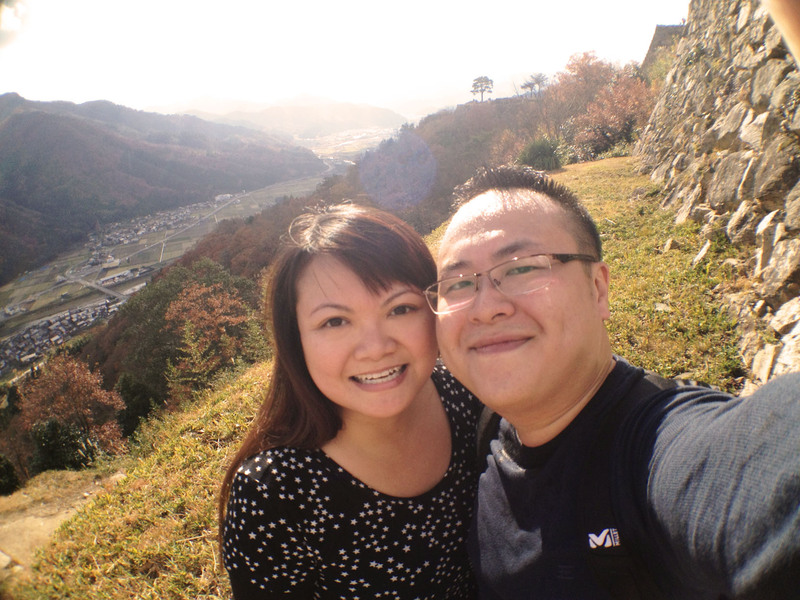 The good husband and I climbed on further where we found a museum that showcased the history of this sacred mountain and its indigenous wildlife. 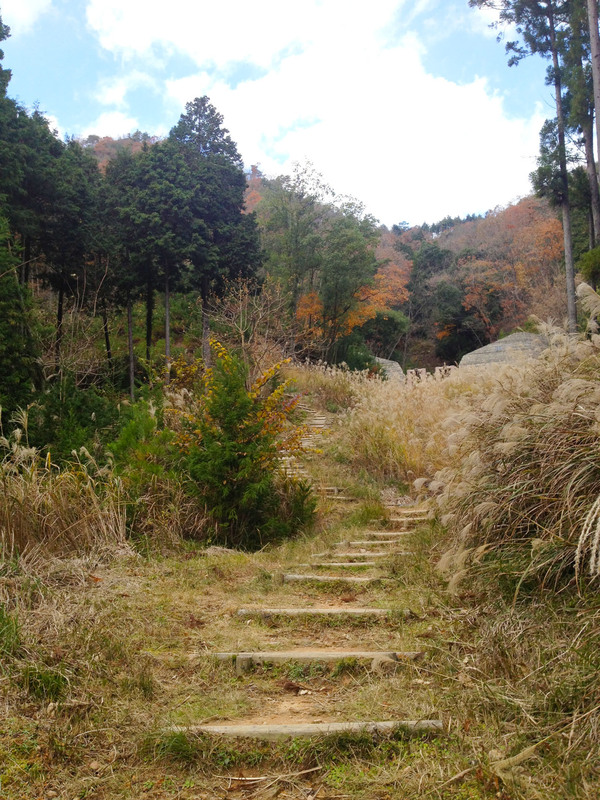 We settled onto a bench to rest and had some tea we brought with us, because our next journey would take us higher up Mount Kurama before we descend into the scenic village of Kibune at the other side. 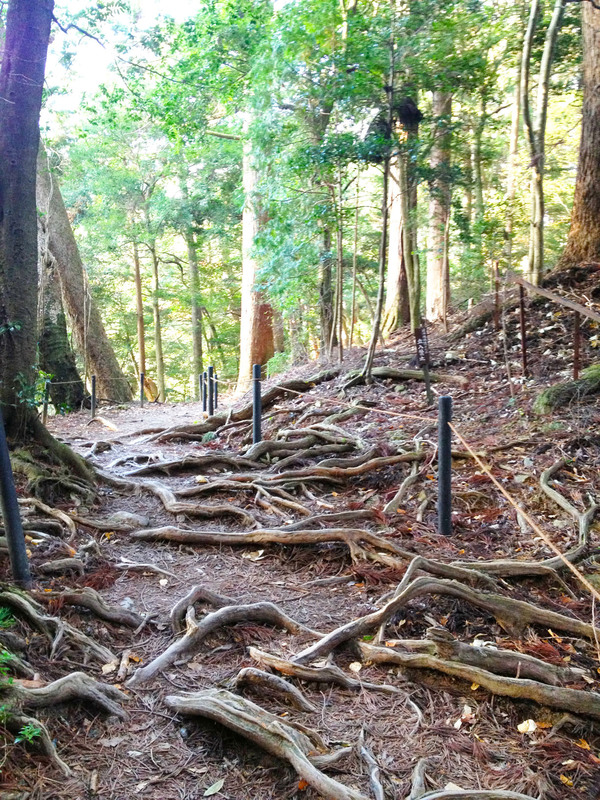 Although there are steps cut into the ground for the convenience of hikers, many of these steps were broken by tree roots that had grown out of the earth, so one must walk with caution. It wasn’t an easy hike for me, as my back is weak and plagued with a chronic pain and I had done quite a bit of walking the past few days. Thankfully, the husband knows this and was extremely patient. 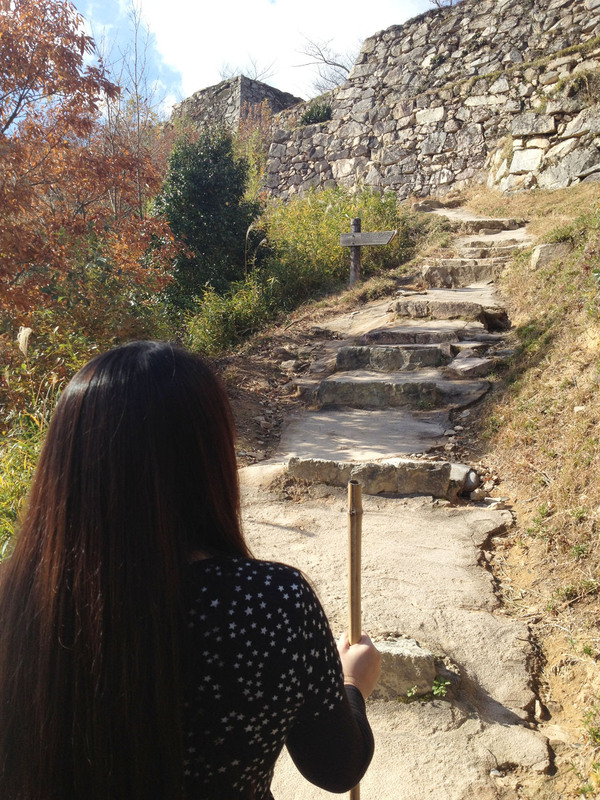 We made several stops along the way up to rest. 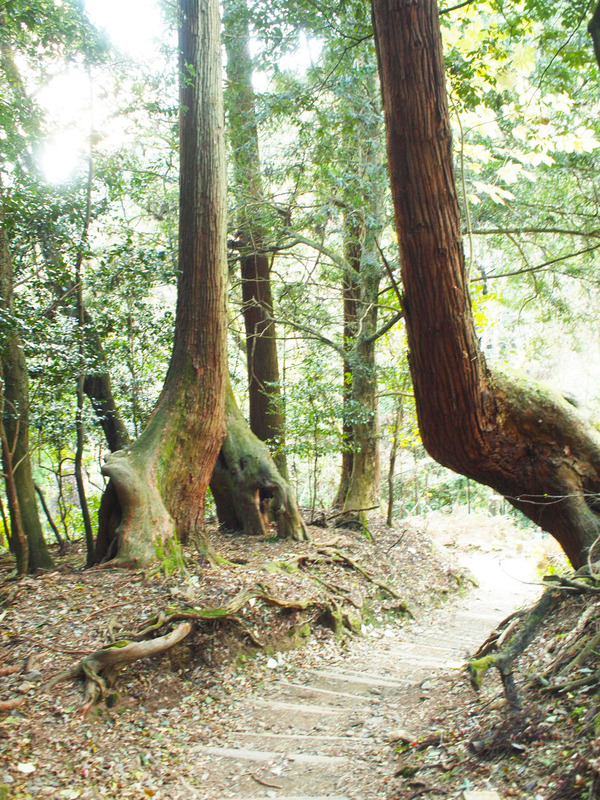 After what seemed like a long time, we found ourselves at the peak of Mount Kurama. 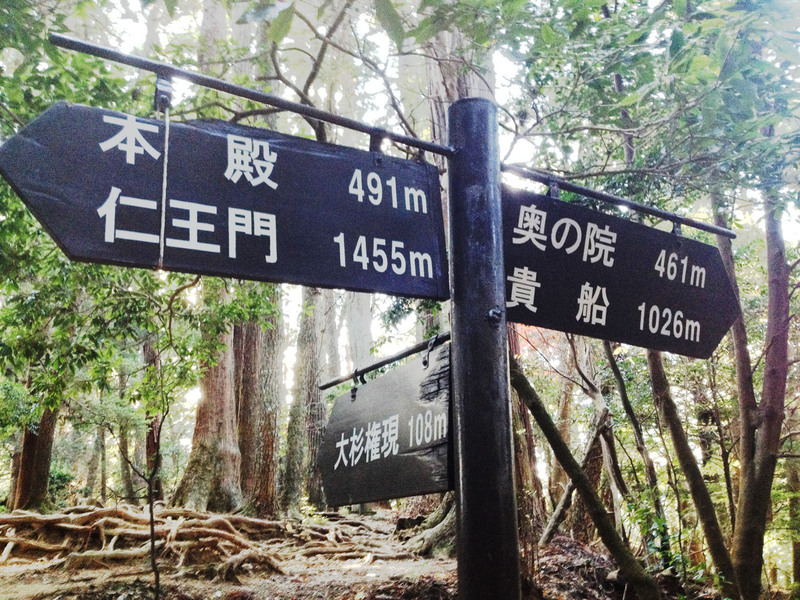 Signs advised us that Kibune is 1,026m away. Well, at least it would be a downward trek from then on! Along the way we came across several places of worship and from within came prayer chants. 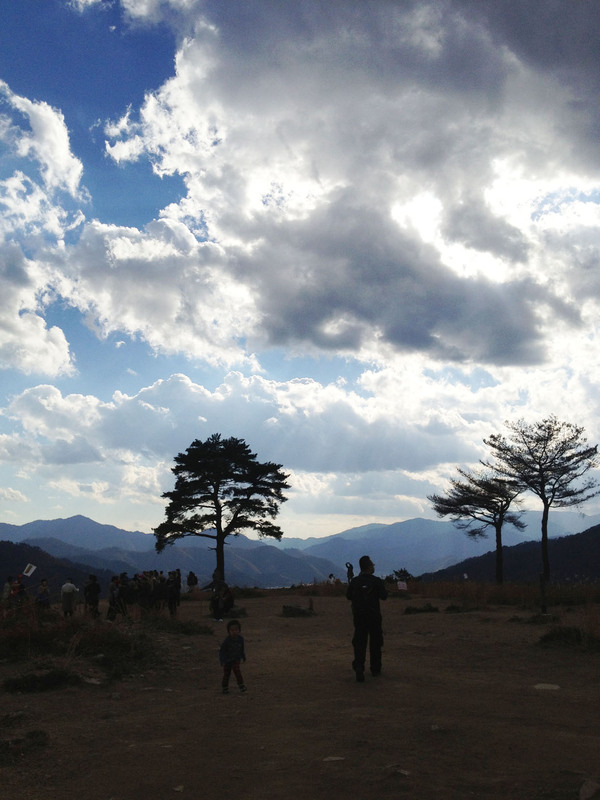 I’m impressed that the locals continue to make their journeys deep into the mountain just to pray. 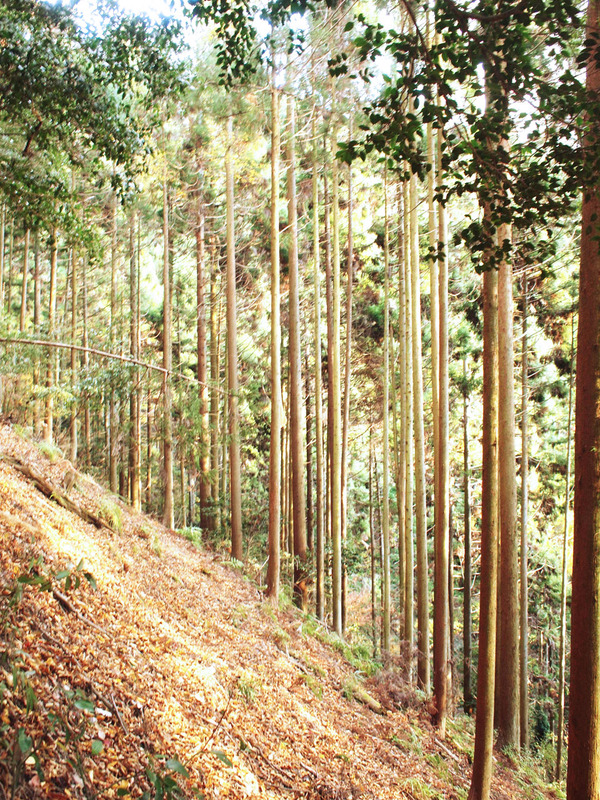 The species of trees changed as we got closer to Kibune, and I imagine how nature lovers would love trekking through this mountain. 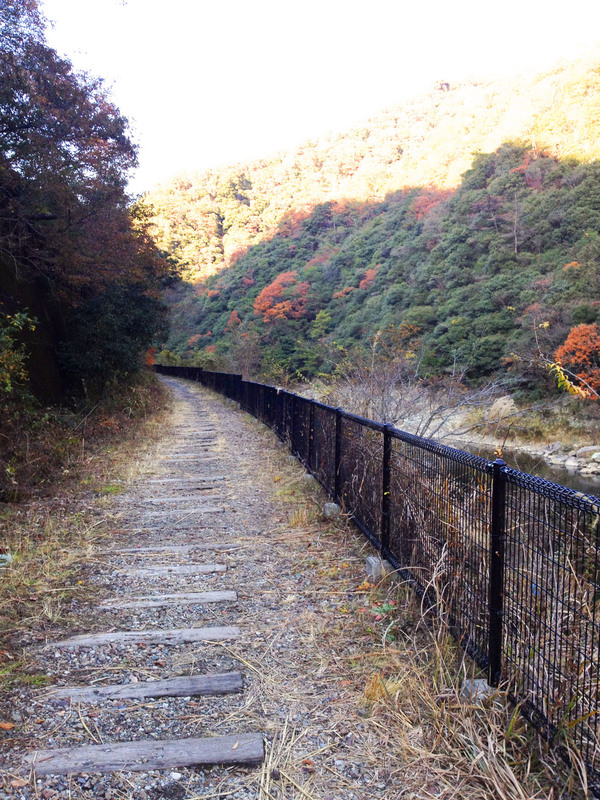 It was 4pm when we reached the foot of Mount Kurama, on the side of Kibune village. The sun was starting its descend over the horizon. 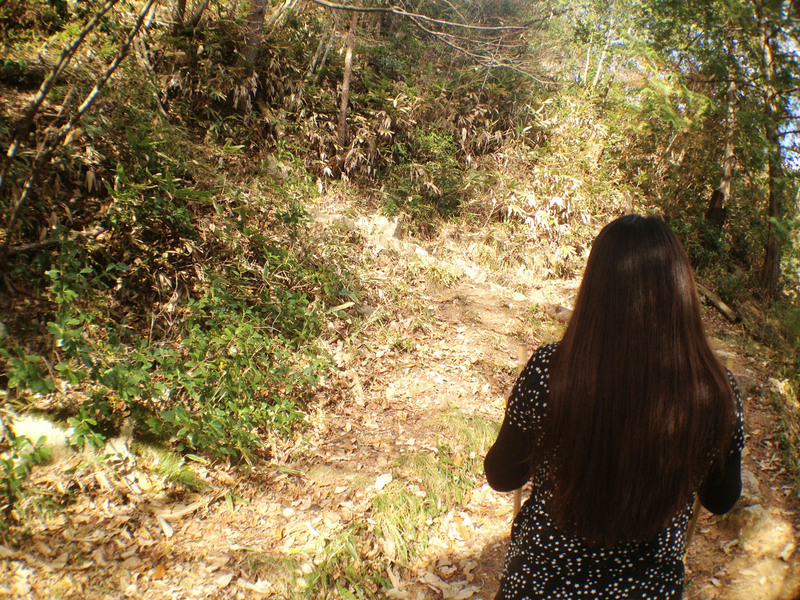 If we were half-an-hour slower, we would be hiking through darkness. 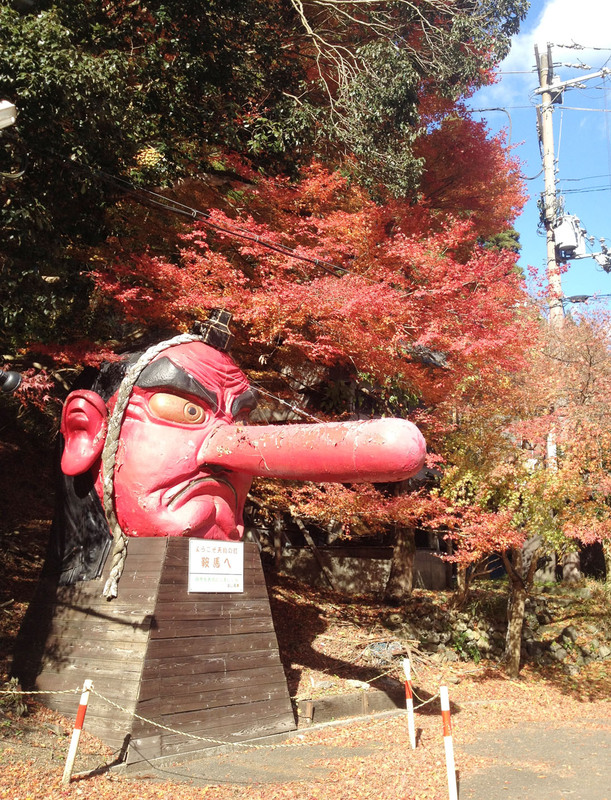 With the sort of legends of powerful tengu and mountain spirits surrounding Mount Kurama, I really did not want to be in the forest after dark! 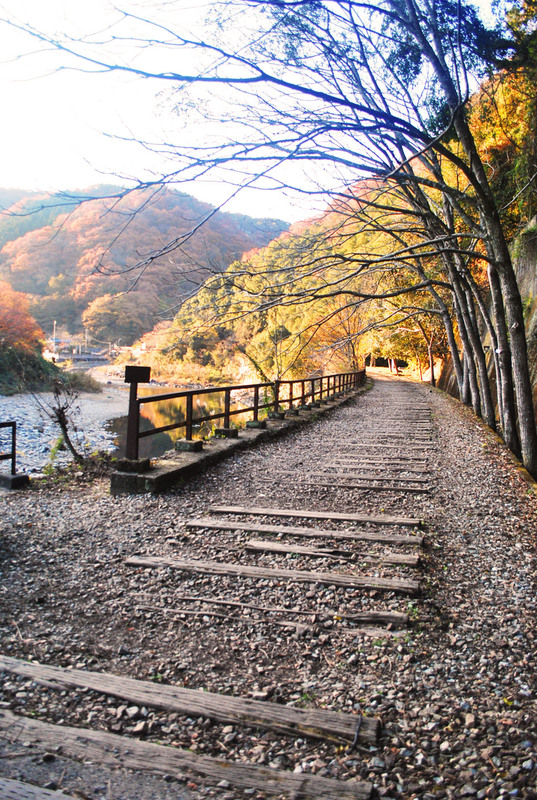 Kibune is a quaint village of traditional houses – these are ryokans and restaurants – along the crisp Kibune River. In warm summer, the restaurant would build platforms over the river and diners could enjoy a leisurely meal in the open. 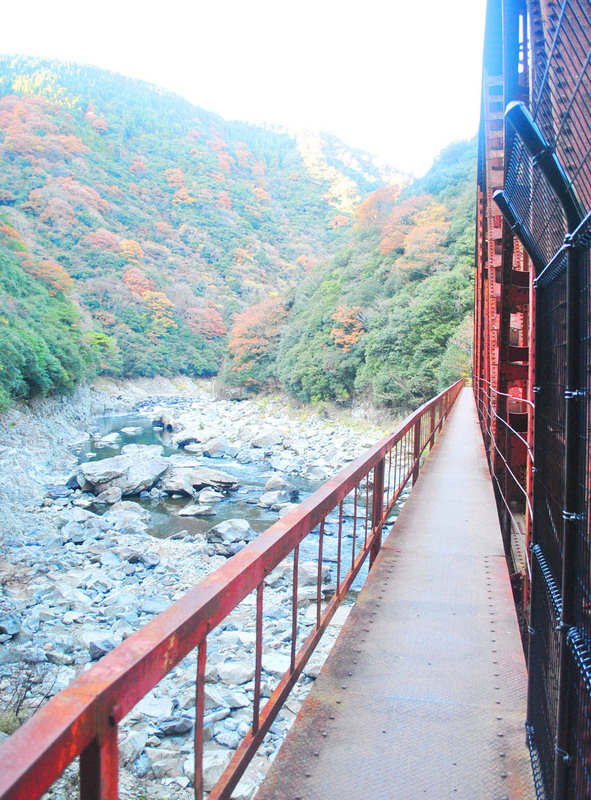 In autumn and winter, kawadoko – the art of dining outdoors on a platform over a river – is impossible due to the cold. 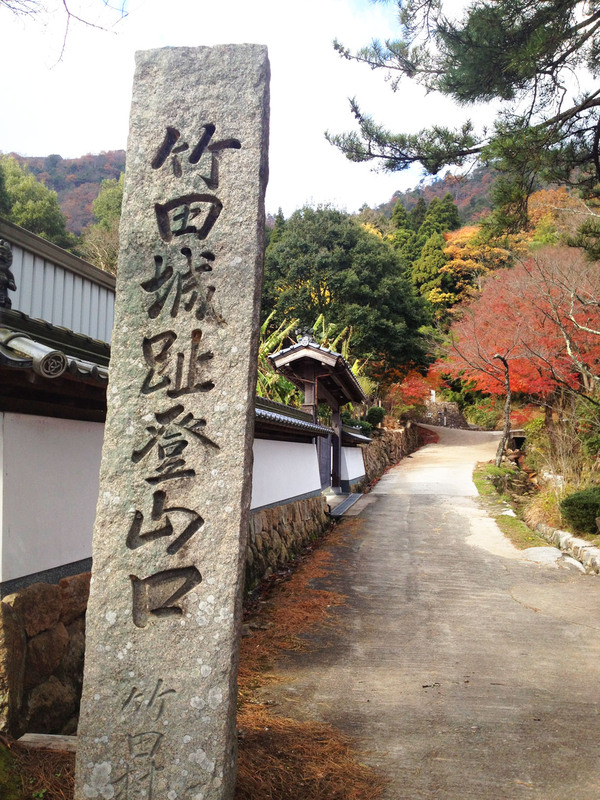 Walking down the narrow streets of Kibune, we came upon Kifune Shrine, another landmark in the rural north of Kyoto. 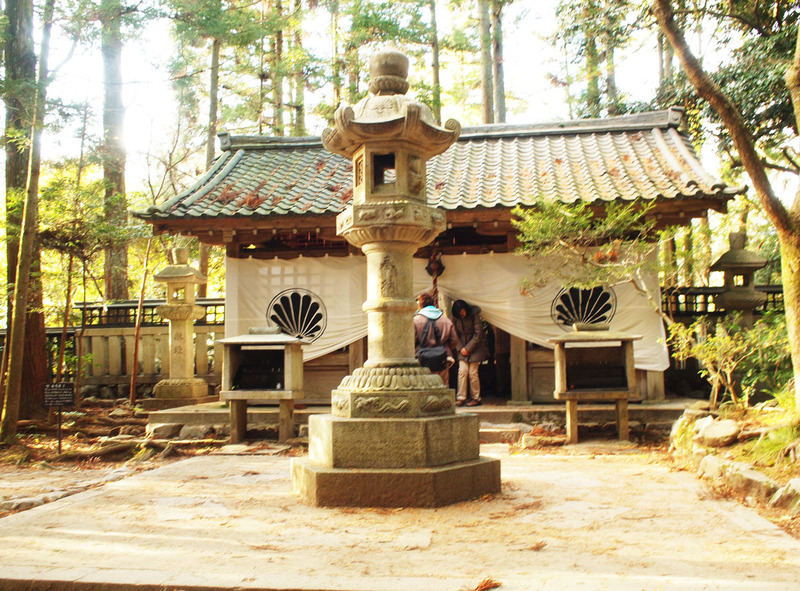 The shrine is dedicated to the god of rain and water, the protector of seafaring people. 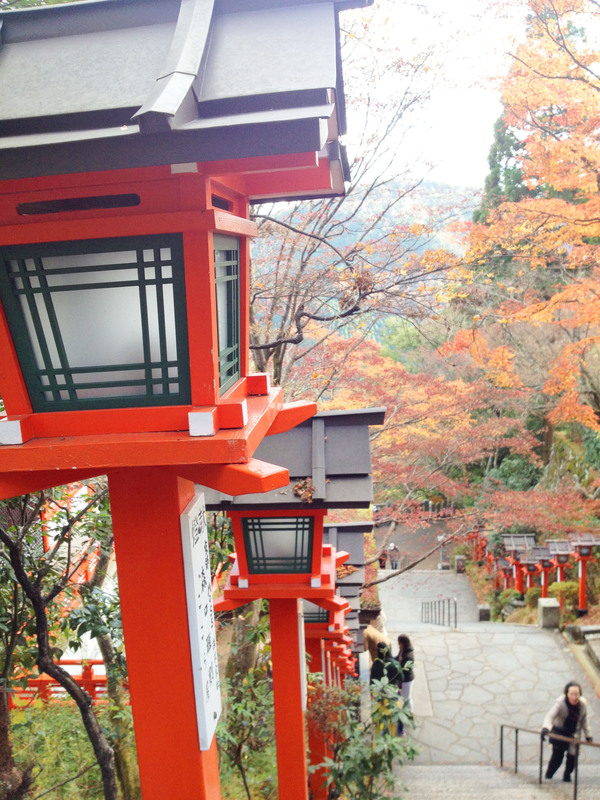 Kifune Shrine is beautiful, and again requires worshipers and visitors to climb up many steps to reach the complex. 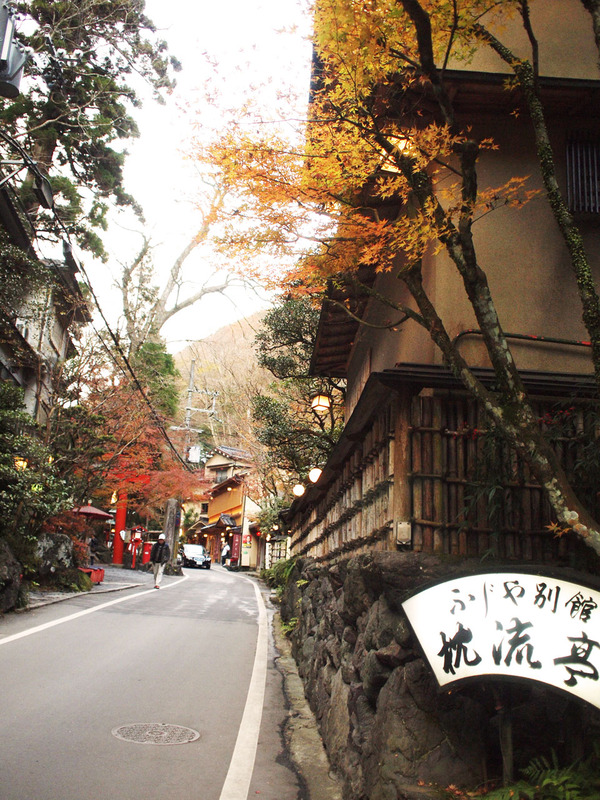 We hung around Kifune Shrine for quite a while, watching visitors getting their fortune told by strips of paper, called omikuji, that reveal messages when dipped in water. When the cold started to get to us – it was 2°C) by then – we got back on our feet and went in search of food. 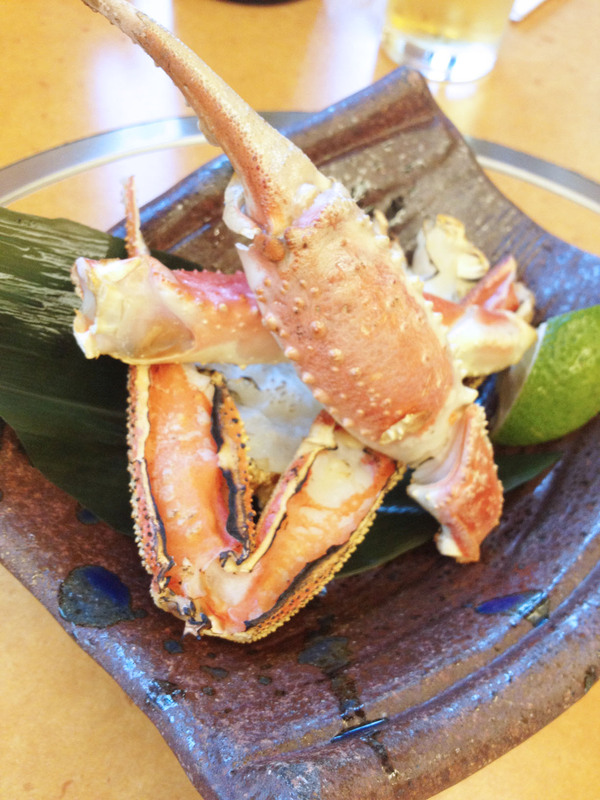 Now, most of the restaurants in Kibune serve pricey kaiseki meals. We found it funny that the hosts of such restaurants would politely explain that their meals are special and urged us to move along to other eateries further down that sold “cheap waffles”. 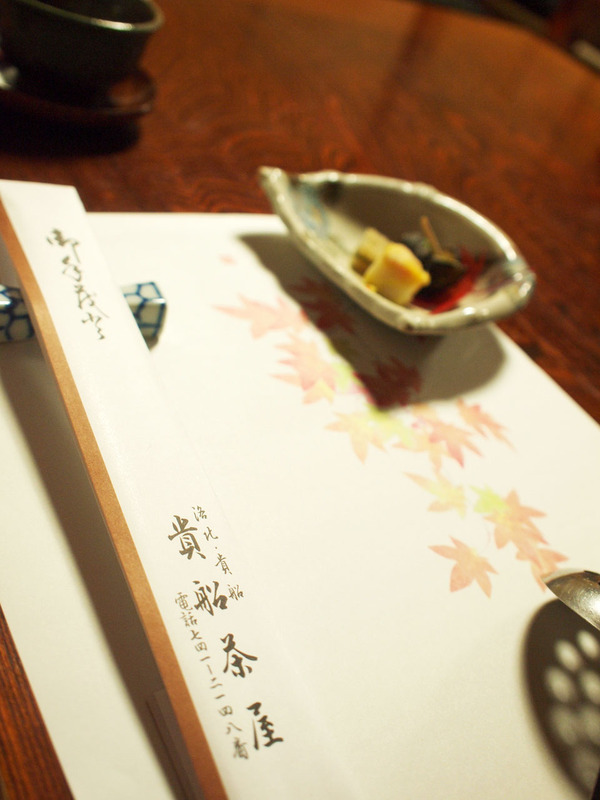 I wouldn’t have minded a kaiseki meal, as it was an experience worth the price. 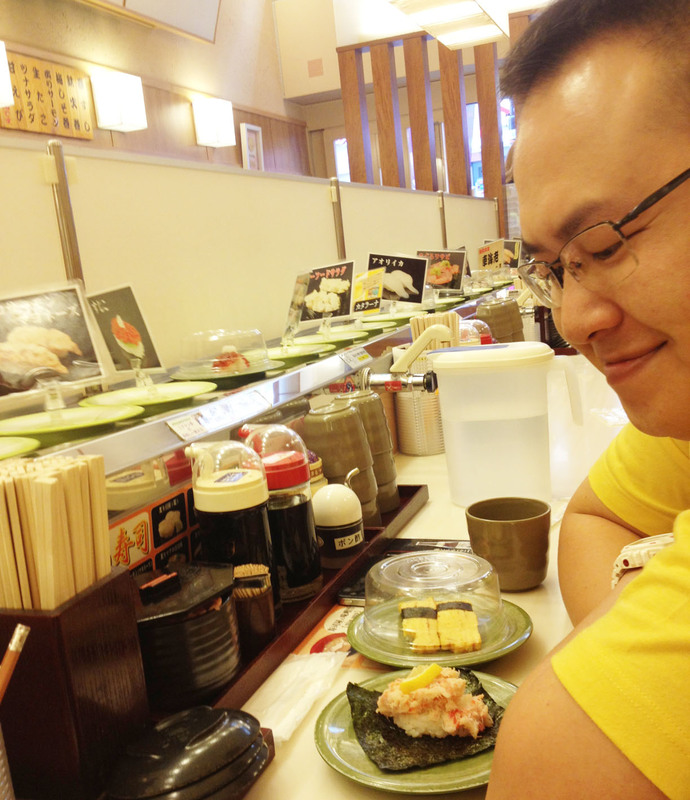 But the husband was not quite willing to fork out 10,000 yen for dinner for one. 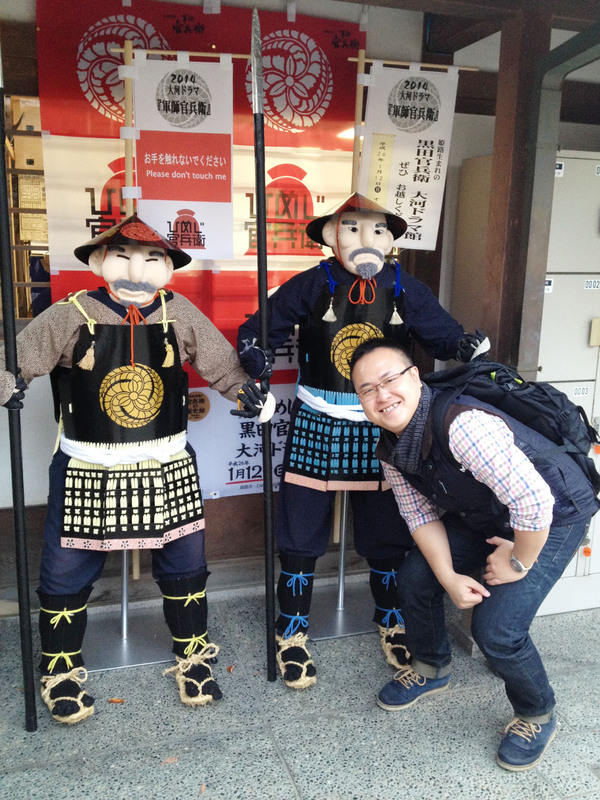 We walked on and was greeted by an enthusiastic lady in front of a traditional house. She urged us to take a look at her menu and kept saying “yudofu”. Her fingers directed our attention to pictures of tofu cubes simmering in soup in a claypot. Hurrah! I’ve always want to try Kyoto’s tofu cuisine. That was my chance! 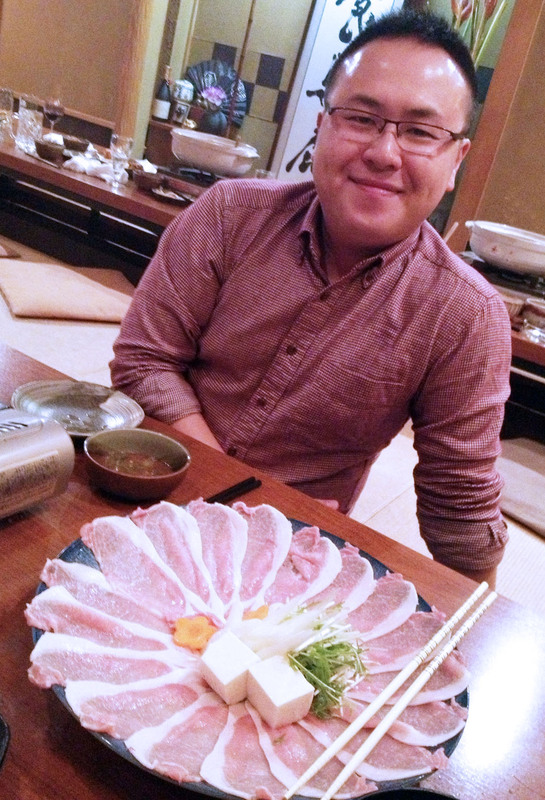 Kibunechaya serves several set dinners, and the one we chose was priced at 3,500 yen per person. 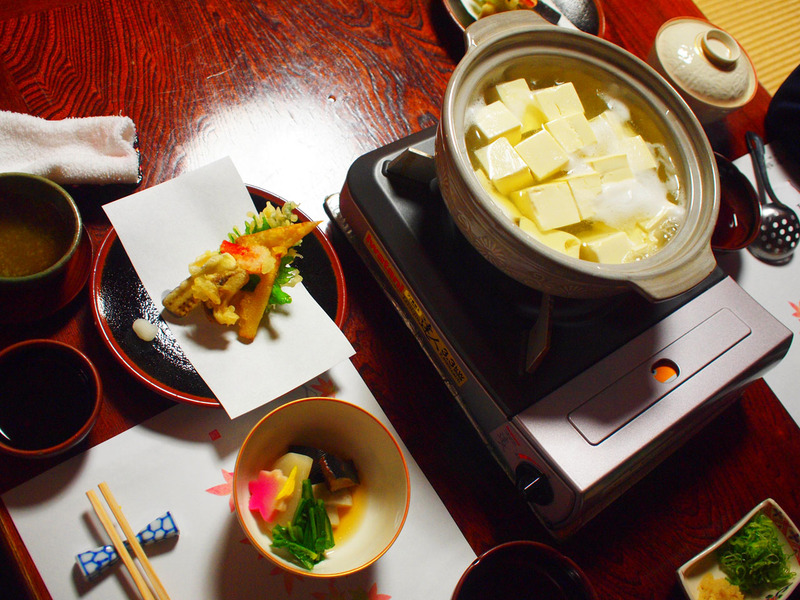 It comprised of a pot of silken tofu cubes boiled in a plain broth, which we ate with fresh spring onions and ginger paste, as well as small, pretty dishes of cold shellfish, yasai tempura, boiled vegetables and a small fillet of grilled fish. I love tofu, so dinner was most satisfying. 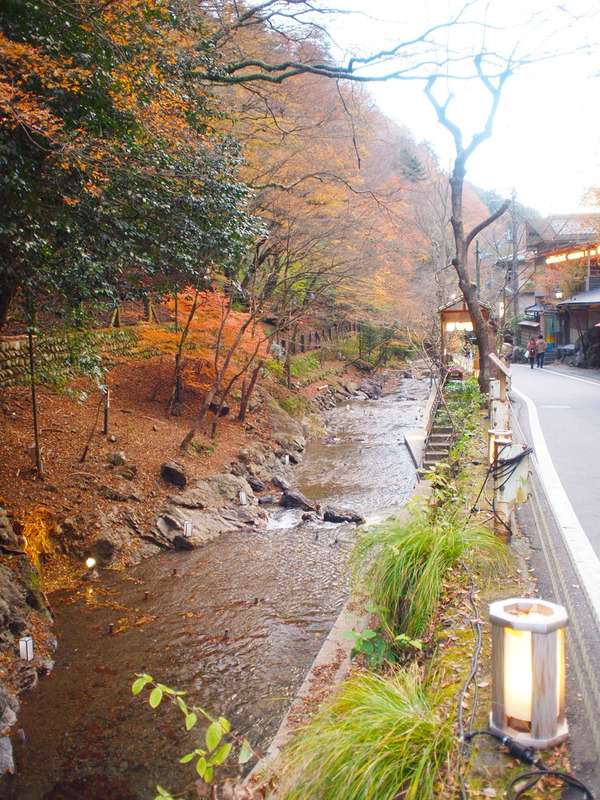 However, the carnivorous husband suggested that we go for supper once we got back to Kyoto City. Haha, poor chap! 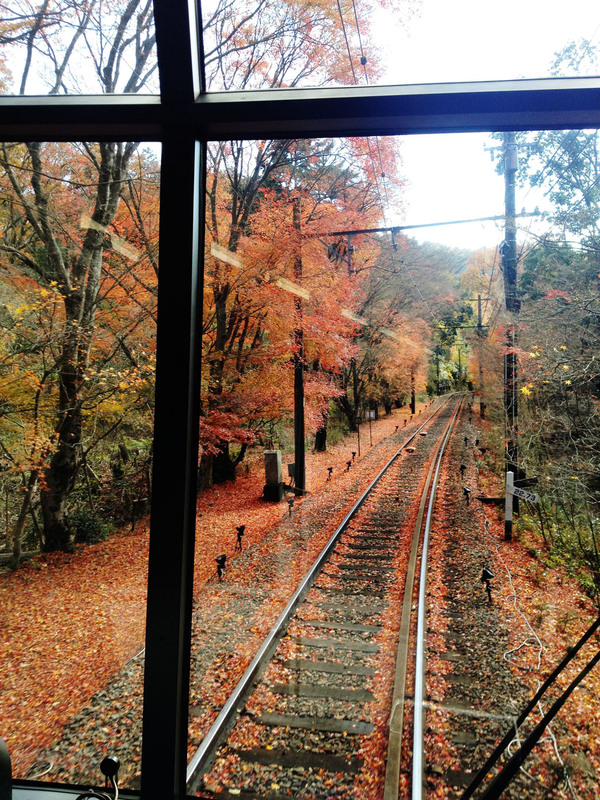 To return to the city, we took a train from Kibune Station, which was by then surrounded by illuminated red maple trees. 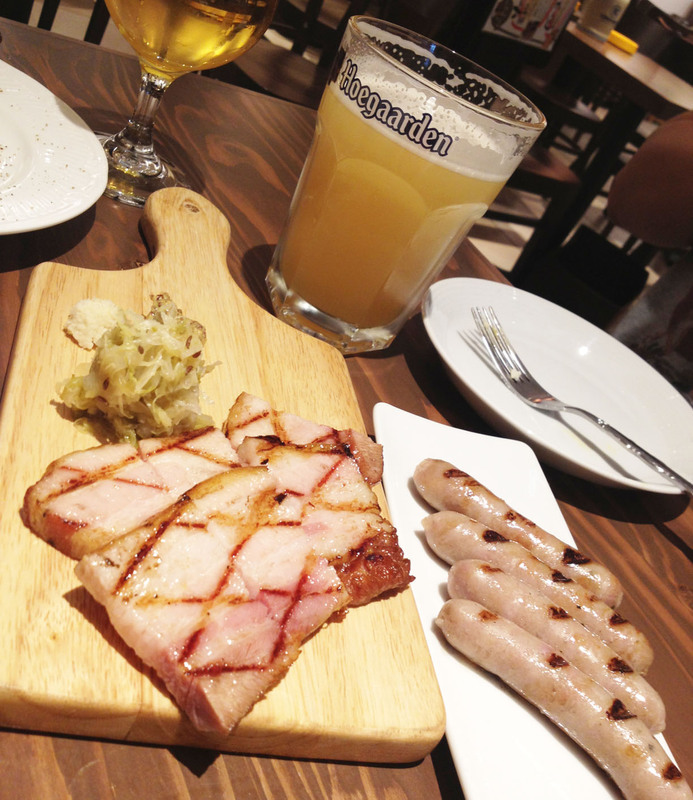 Anyway, we did have another meal back in the city to satiate the husband’s lust for meat. 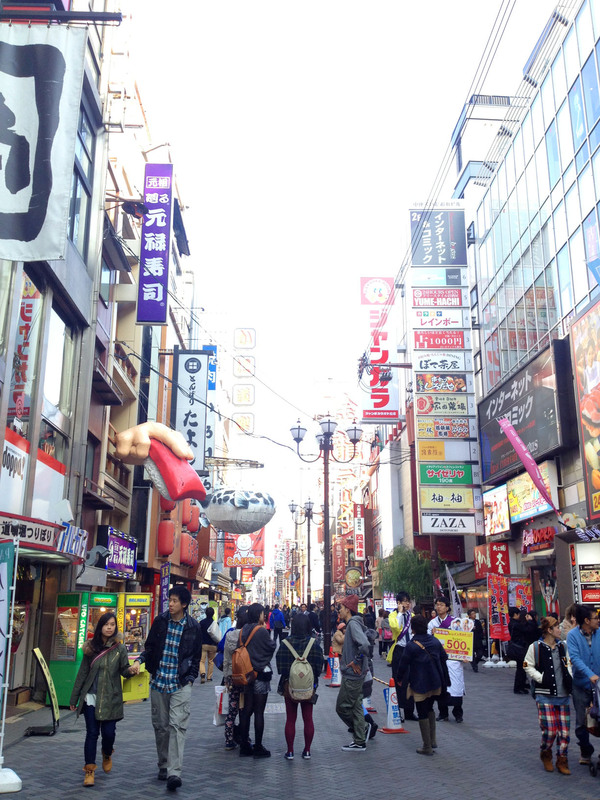 We found a restaurant close to Shijo Station, just one train stop from Karasumaoike Station where we usually alight to get to our hotel. I don’t know what this restaurant is called in English, but it serves a type of pork from pigs that were raised on the leaves of green tea. 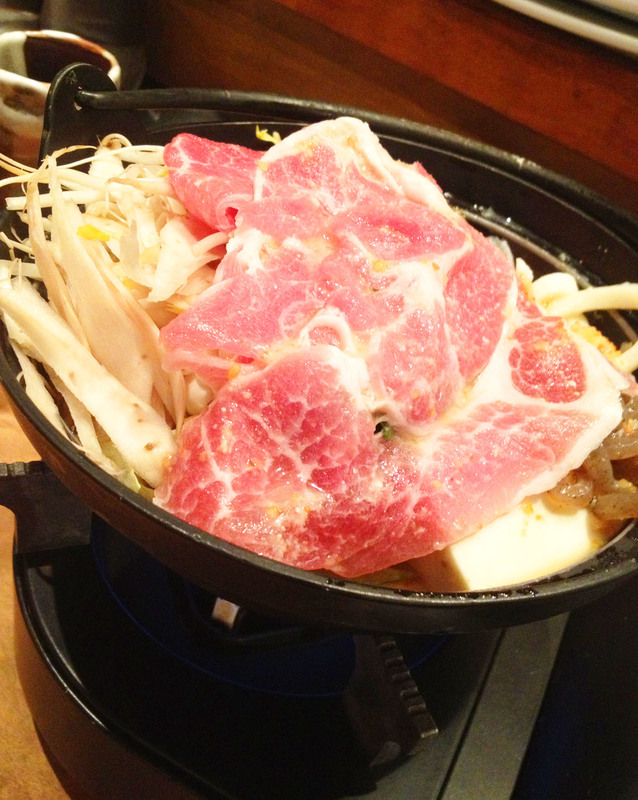 We had it as a shabu shabu, and the meat was amazingly tender and fragrant. Good luck identifying this restaurant through the photo below. It opens till 2am every day. 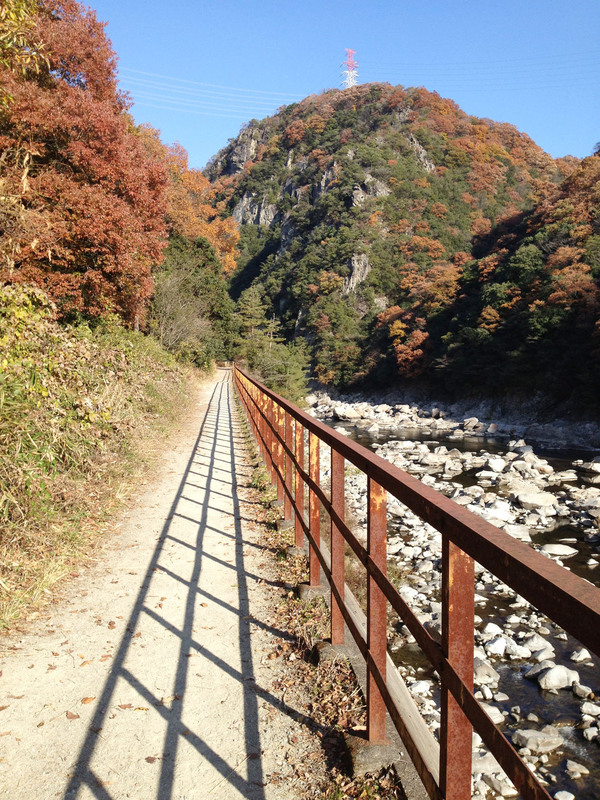 Enough of autumn foliage for now. Let’s talk about kitty cats. 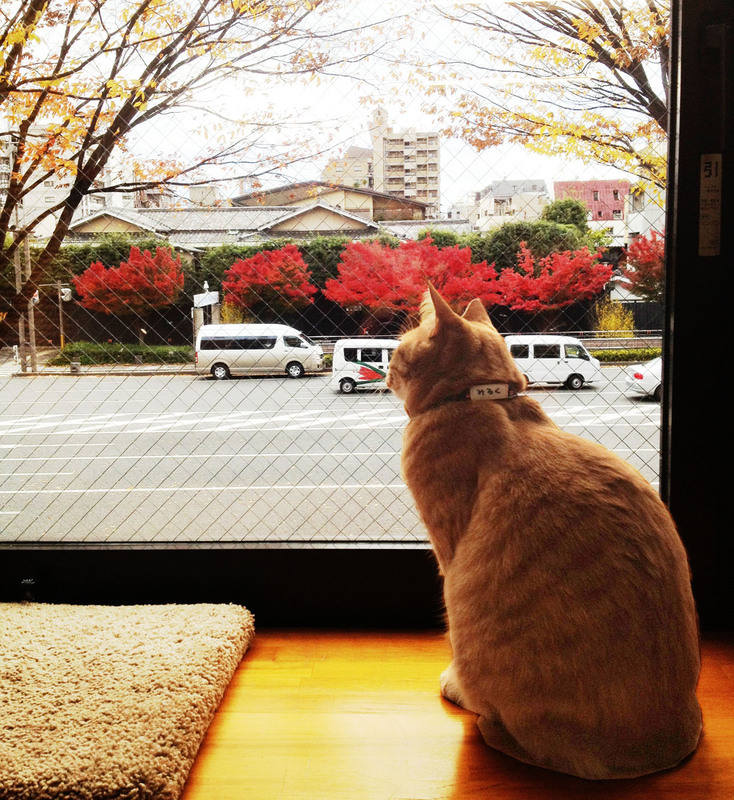 There is a cat cafe a 15-minute’s stroll from our hotel in Kyoto – we stayed at Hearton Hotel Kyoto, accessible by Kasasuma Oike train station – and it is a place where cat lovers go and hang out with some of the city’s most adorable felines. 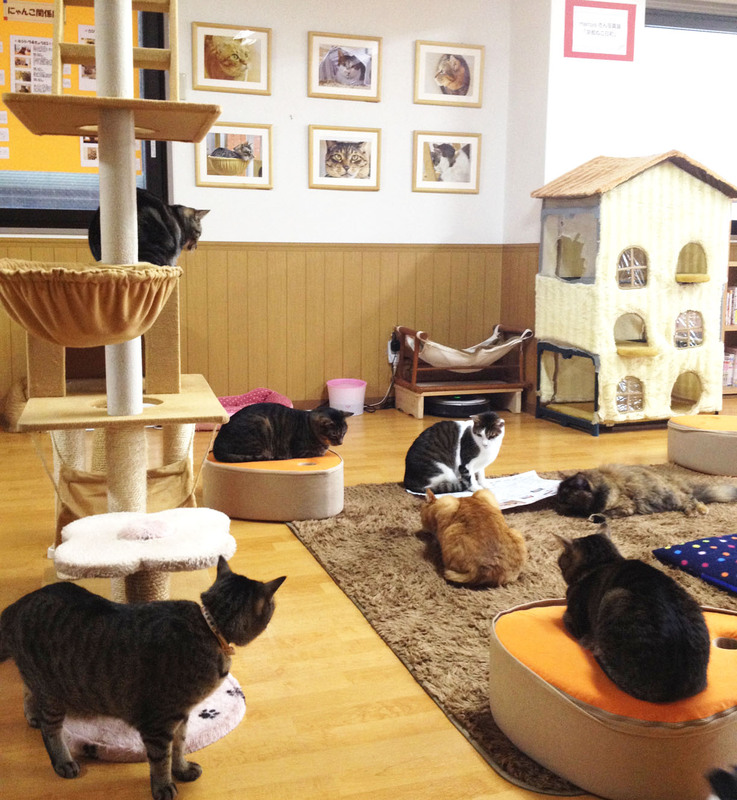 Cat Cafe Nekokaigi is home to 10 kitties that get to prance, parade, play and snooze in a spacious room littered with fun cat towers, toys and cushions. Us humans get to sit on comfy cushions along the wall and be one with the cats. 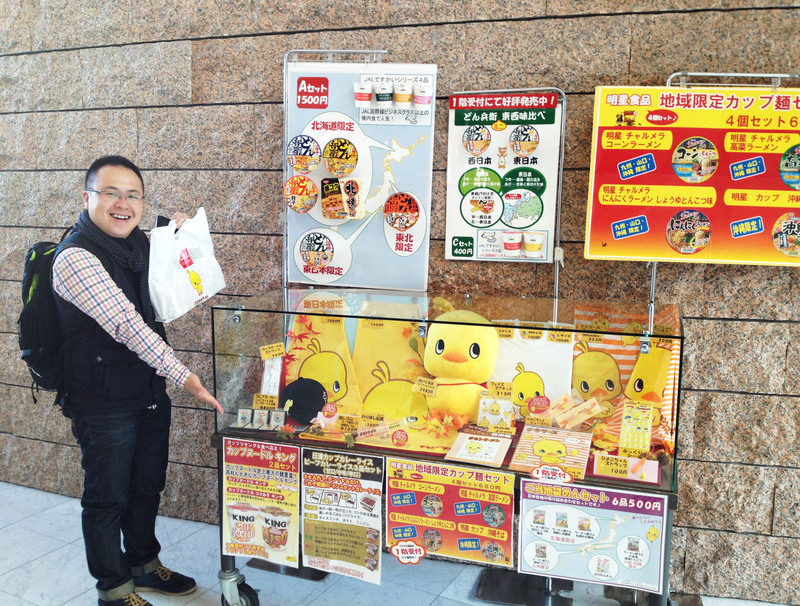 Fruit juices, coffee and tea are on the menu, but visitors are not obliged to buy one. 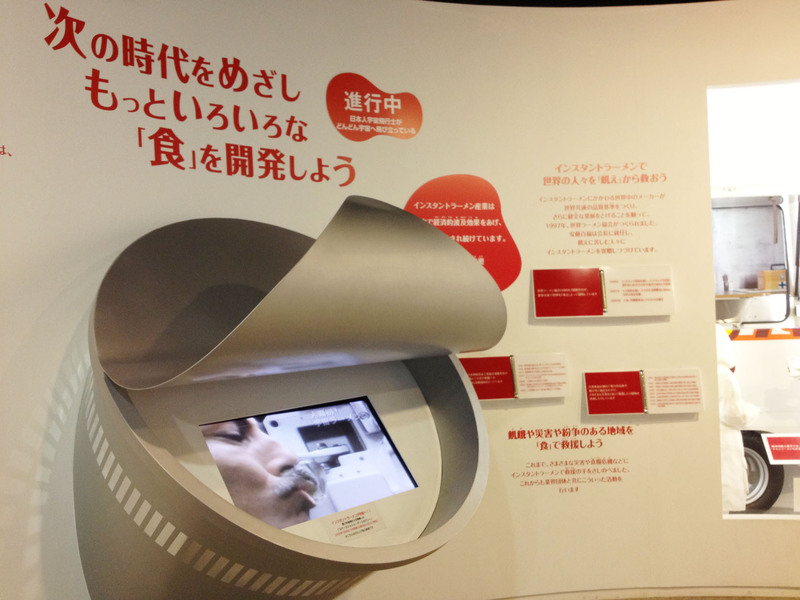 One instead pays an entrance fee of 800 yen for an hour with the lovely cats, and every subsequent 30-minute blocks costs 400 yen. 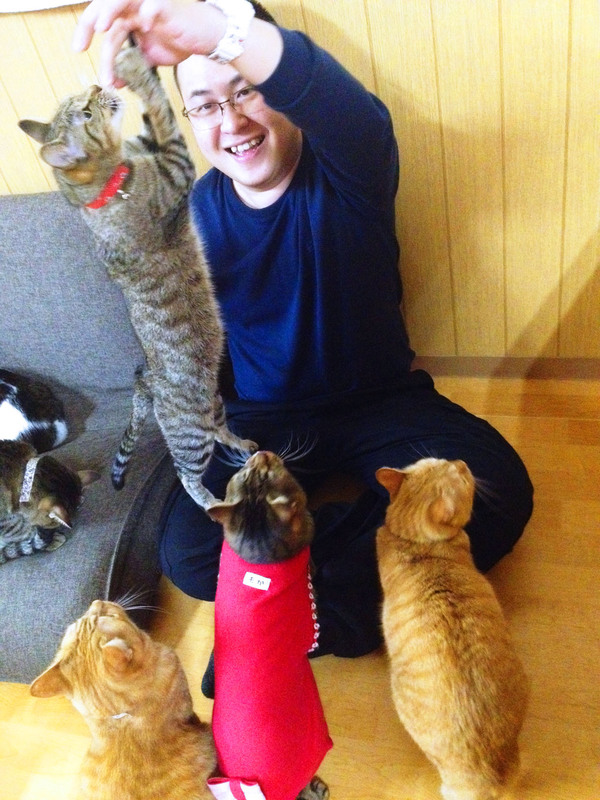 If you love cats, you will find that is money well spent. Being among cats is such a serene, uplifting experience, and watching the little ones go about their things makes me think of how Squibby was when she came to us as a mere month-old kitten in 2005, abandoned at our doorstep and left to die. However, while we were there, some got curious enough to sniff our fingers and feet, while others stepped over us to get to that cosy spot on our cushion. 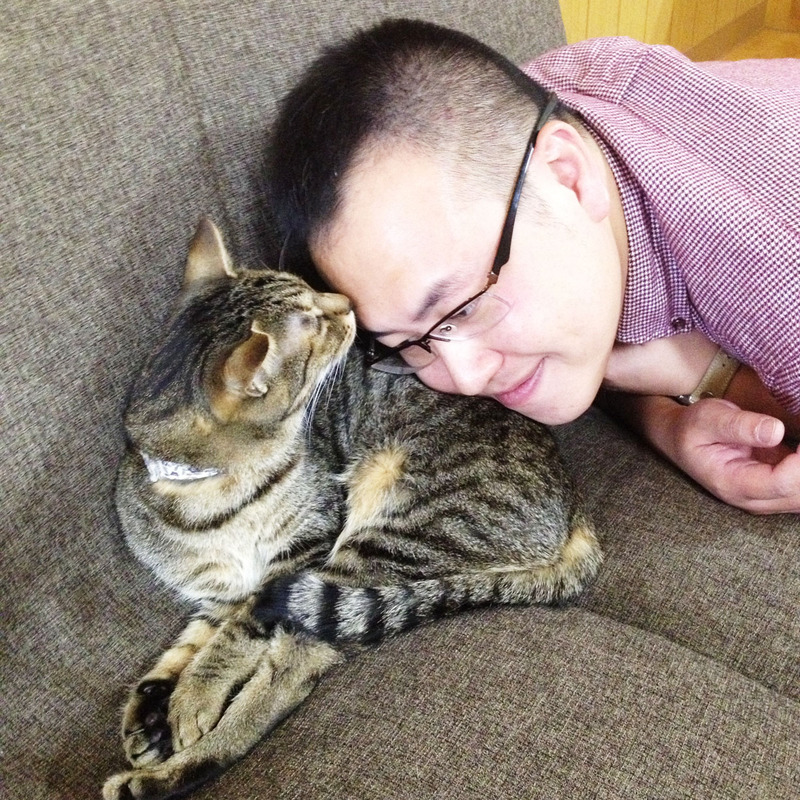 I guess if one visits Cat Cafe Nekokaigi frequent enough to form a bond with the kitties, one would get more affection out of these aloof felines. 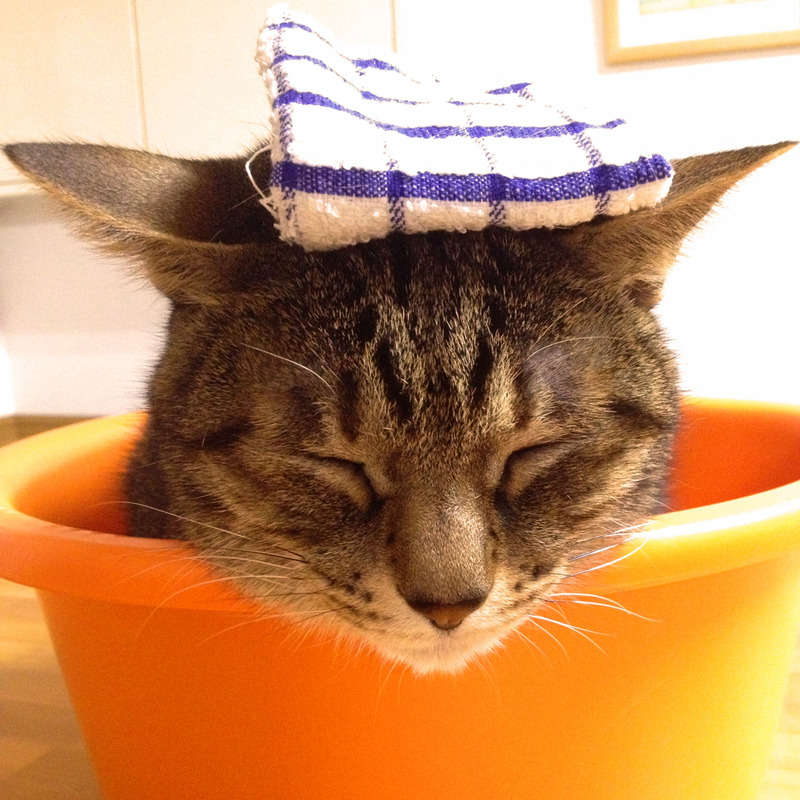 Visitors to Cat Cafe Nekokaigi can purchase kitty treats at 200 yen a pack – limited to one pack per group of visitors per visit to prevent over-feeding. These cats are smart. They know a treat is coming when a cafe staff heads for a cage in the corner of the cafe, and they drop whatever they are doing and follow her. Once the packet of treat is placed in the visitor’s hand, that visitor immediately gets elevated to BFF status among every cat. So when the husband and I got a pack of treats, we got swamped by kitties who commanded our complete attention, which we were too happy to give. Cats are truly just too cute. 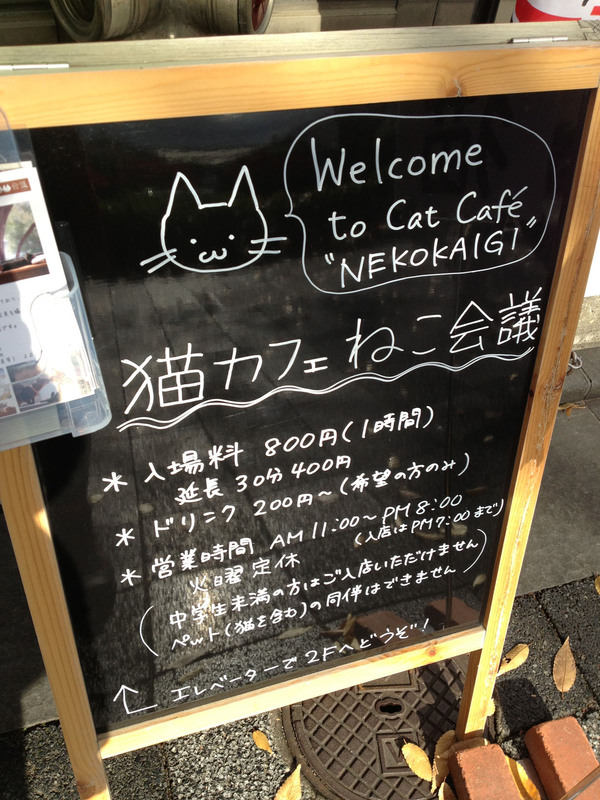 We enjoyed Cat Cafe Nekokaigi so much that we visited it twice during our four-day stay in Kyoto.